If nuts aren't in your regular snack rotation, you're missing out on major disease-fighting nutrients that protect your heart, boost brainpower, and more. 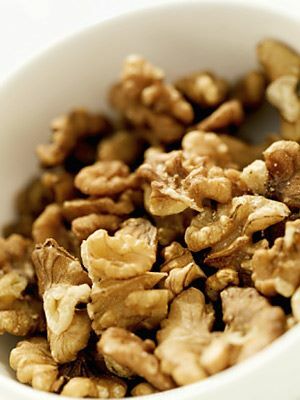 Nuts are underrated as nutritious snacks - and walnuts may get the shortest shrift of the bunch. New research has crowned the walnut the healthiest nut, with almost twice as many heart-healthy antioxidants as other kinds. But even though walnuts may be king, all nuts boast powerful nutrients that can promote weight loss, boost heart health, power down PMS, and even lower cancer risk. Cashews are particularly rich in iron and zinc. "Iron helps deliver oxygen to all of your cells, which can prevent anemia, and zinc is critical to immune health and healthy vision," says Bauer. 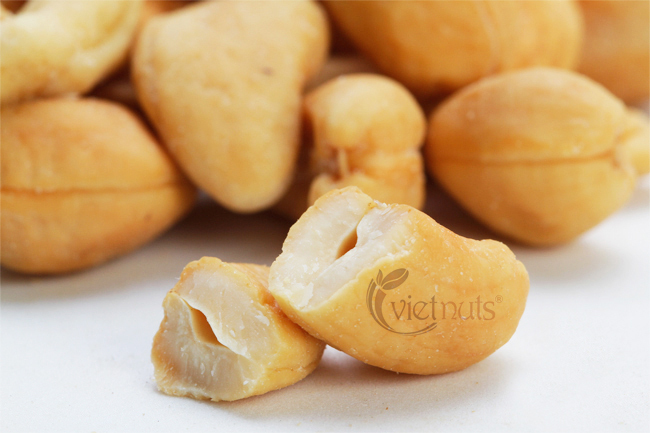 Cashews are also a good source of magnesium: One ounce provides almost 25 percent of your daily need. Magnesium may help improve memory and protect against age-related memory loss, according to a study in the journal Neuron. In addition to containing the most antioxidants of all nuts, which help protect your body from the cellular damage that contributes to heart disease, cancer, and premature aging, "walnuts are also the richest in omega-3 fatty acids, which fight inflammation," says Bauer. 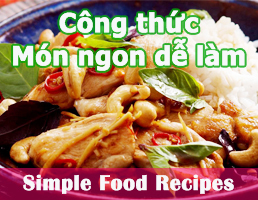 They're an especially great way to get these healthy unsaturated fats if you're not a fan of fish, where these types of fats are predominantly found. A walnut snack may also turn around a bad day during that time of the month: The manganese they contain may reduce PMS symptoms. 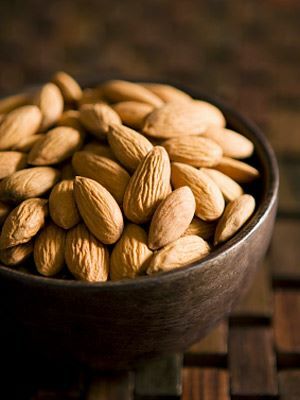 Almonds contain the most fiber - about three grams per ounce - compared to other nuts, and are richest in vitamin E, a powerful antioxidant. Almonds may even help you slip into those skinny jeans: In one International Journal of Obesity study, when two groups of obese adults followed low-calorie diets for six months, those who included almonds in their weight loss plans lost more weight than those who ate more complex carbohydrates. Other research shows that almonds are especially healthy for people worried about their blood sugar: Those who ate about 20 percent of their calories from almonds for four months saw their bad LDL cholesterol drop and their insulin resistance decrease compared to a control group who didn't eat them. Almonds may even safeguard your gut: A test-tube study (funded by the Almond Board of California) found that the nuts raised levels of good bacteria that bolster the body's immune system. Pecans aren't just for making tasty pies, they can also help improve your heart health. 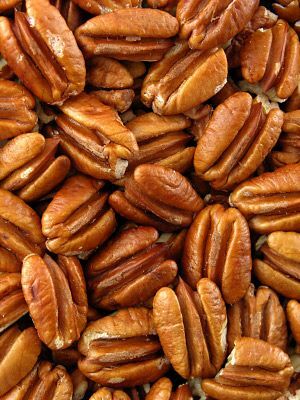 "Pecans are among the most antioxidant-rich nuts," says Bauer. "They may help prevent plaque formation in your arteries." In fact, a Journal of Nutrition study (funded partly by the National Pecan Shellers Association) found that consuming pecans can help lower LDL cholesterol levels by as much as 33 percent. Pecans may also buffer your brain health, according to an animal study from the University of Massachusetts Lowell. 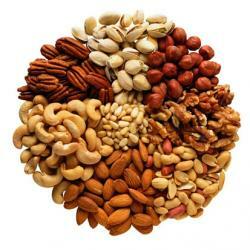 The vitamin E found in the nuts could delay progression of degenerative neurological diseases like amyotropic lateral sclerosis (ALS), also known as Lou Gehrig's disease.